Together we can make more people sit up and listen! Parkinson’s disease is a long term degenerative disorder of the central nervous system that mainly affects the motor system. As the disease worsens, non-motor symptoms become increasingly common. The symptoms generally come on slowly over a period of time. Early symptoms of the disease are; shaking, rigidity, slowness of movement and difficulty with walking. Thinking and behavioral problems can also occur. For more information on the symptoms please go to the Parkinson’s website. The cause of Parkinson’s is generally unknown, but is believed to involve both genetic and environmental factors. Those with family members effected are more likely to get the disease. For further information and support on Parkinson’s disease please go to the Parkinson’s website. Where you will find useful information and support. 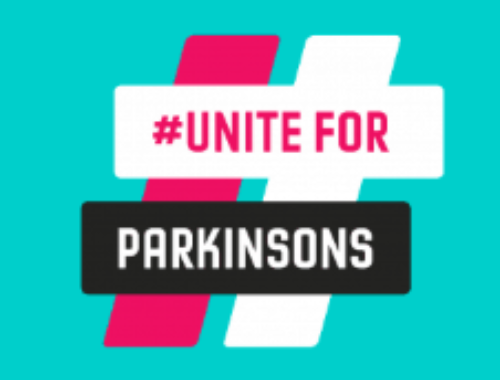 On World Parkinson’s Day, 11 April 2019, Parkinson’s UK is launching an attention-grabbing marketing campaign to show the reality of life with Parkinson’s. Together we can make more people sit up and listen. We know from research that people don’t think Parkinson’s is a serious condition. And people with Parkinson’s have told us they don’t feel understood. In 2019 and beyond, we’re working hard to change this. On World Parkinson’s Day, 11 April 2019, we’re launching ‘Parkinson’s Is’ – a campaign to increase understanding of Parkinson’s as a serious condition. Speak to your local press – Approach your local media with a story about your World Parkinson’s Day event to spread the word about Parkinson’s UK and the Parkinson’s Is campaign. Grab attention in your community – as well as approaching your local press, you could use your social media platform to campaign, set up an event, fund raise, volunteer and campaign for this cause. For more information on how to get involved please click here.